Power Pumpkin Carver Kit arve like a pro! Power Pumpkin Carver Creativity Kit includes power handle, 2 precision blades, pattern poker, and 6 design templates. Batteries not included. Youll make awesome Jack-O-Lanterns this year! Spray Wilt-Pruf on freshly-carved pumpkins to keep them from shriveling, collapsing and turning black. Late autumn is also the ideal time to apply Wilt-Pruf to your rhododendrons, hollies, boxwood and other broad-leafed evergreens to protect them from winter wind and sun. 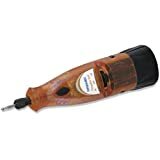 Dremel 764-04 Pumpkin Carving Kit includes 6-Volt Minimite Cordless Rotary Tool and 10 Templates Even the least artistic among us can have the coolest jack-o'-lanterns in the neighborhood this year with Dremel's pumpkin- carving kit. It's a neat, buzzy little unit that carves off layers of pumpkin flesh to let the light glow through. It isn't meant to cut all the way through the pumpkin, and the effect is perfectly spooky. Powered by four AA batteries, it's got two speeds for superior pumpkin-stock removal, 6,000 and 12,000 rpm, so it's not a child's toy. • 6" x 1" x 9.5"
Pirates Of The Caribbean Pumpkin Carving Kit Captain Jack Sparrow at your service! Carve your favorite Disney pirate with this easy kit! Kit includes: Punch Wheel, Plastic Scoop, Punch, Large Saw, and 6 patterns. This is an officially licensed ©Disney product. Disney Winnie The Pooh Carving Kit Carve Winnie the Pooh and Tigger too! Carve your favorite Disney characters with this easy kit! Kit includes: Punch Wheel, Plastic Scoop, Punch, Large Saw, and 6 patterns. This is an officially licensed ©Disney product. Carve-a-Lantern Kit Create your own Halloween jack-o-lantern works of art with this deluxe pumpkin carving kit with a set of precision carving tools and extensive design patterns. # A fun activity for the whole family! pumpkin carving set Just add your imagination and this kit includes everything else you'll need to make the ultimate carved jack-o'-lantern. Tools, stencils and candle are included. Please remember, the adults should be in charge of using the sharp tools. Ghostly Pumpkin Carving Kit Keep the ghosts and goblins away on Halloween night with a carved pumpkin on your doorstep. This kit comes with seven carving tools, six patterns to follow and instructions. Tools are made of plastic and steel. The Pumpkin Masters' Family Carving Kit is a Pumpkin Carving Kit that is great for use by a family or a group. The patented kit includes 16 patterns, instructions, 2 Scraper Scoops, 4 Saws, 2 Pokers, 1 Drill, and 3 Crayons. 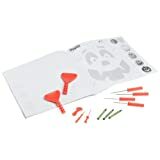 Pumpkin Carving Kit The original and patented Pumpkin Carving Kit lets anyone create amazing designs with ease. Each kit comes with specially designed saws and tools, easy-to-follow patterns and simple instructions. Before you know it, you'll take pumpkin carving to a whole new level! USA.